Matthew Doerfler, a second-year medical student who is active in global health at Feinberg, earned his undergrad degree from the McCormick School of Engineering. 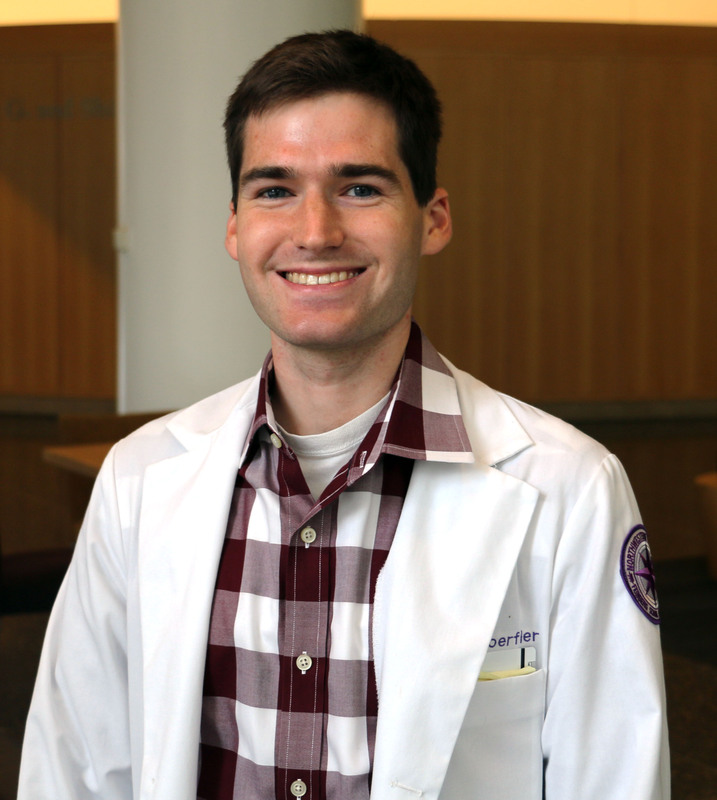 After graduating from Northwestern University with a bachelor’s degree in biomedical engineering, Matthew Doerfler didn’t travel far when he enrolled in medical school at Feinberg. But he did so, in part, to join in on the global health research that would send him thousands of miles around the world. 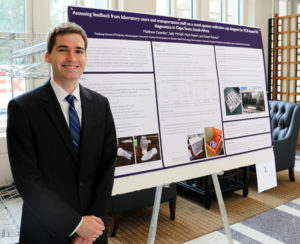 Doerfler, who earned his undergrad degree from the McCormick School of Engineering, said he always had an interest in global health, but it was while completing his senior capstone project — designing a low-cost warming device for pediatric surgeries at a hospital in Nigeria — that he realized the value in uniting his bioengineering background with a career in medicine. Now a second-year medical student, Doerfler is chairperson of the Student Advisory Committee on Global Health — where he increases global health awareness on campus and organizes events — and is active in global health research at the medical school. 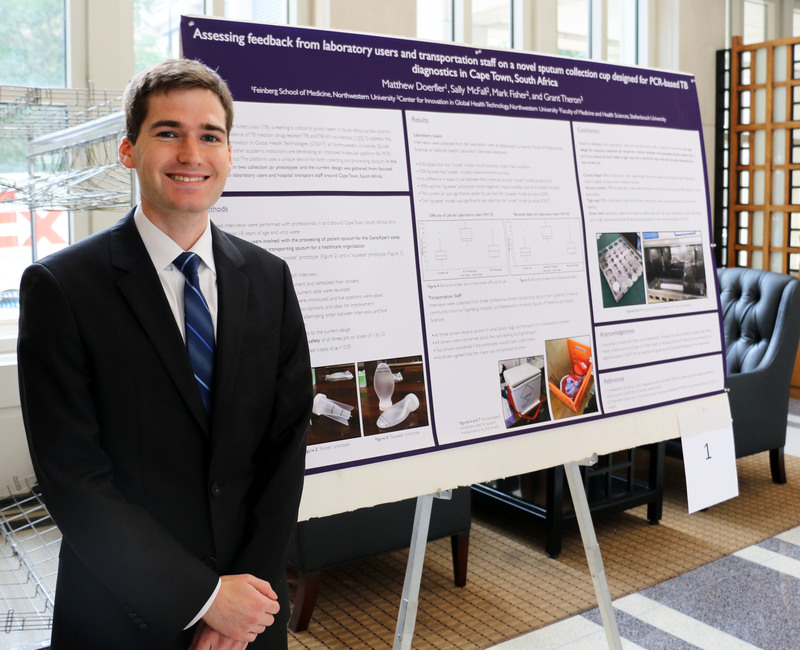 Doerfler completed one such research project this summer, borrowing from both of his academic backgrounds. With funding from the Global Health Initiative, he traveled to Cape Town, South Africa to test out a novel sputum collection cup for TB diagnostics. The new design, which is being developed by the Center for Innovation in Global Health Technologies (CIGHT) at McCormick, along with other collaborators, intends to make the process of testing for tuberculosis safer and more accurate. Doerfler’s research on a novel sputum collection cup received an honorable mention during the poster session at Global Health Days. “The idea is that the new test would have everything contained in the same sputum collection jar,” Doerfler explained. With the ability to add reagents directly into the jar, health care professionals could skip the step of transferring the sputum into a new container for testing, potentially lowering the risk of infection. After gathering feedback from laboratory users and transportation staff on two different prototypes — one in a “rocket” shape and the second a “squeeze” model — Doerfler presented his recommended design tweaks to the team for a final product that would be more user-friendly, safer and efficient for local staff. His research, presented during the poster session at Feinberg’s annual Global Health Days event, won an honorable mention. The device he helped develop at University College Hospital Ibadan in Nigeria while as an engineering undergrad is intended to do just that. Working under the mentorship of Robert Murphy, MD, John Philip Phair Professor of Infectious Diseases and director of the Center for Global Health, and Taiwo Lawal, MD, MBBS, a pediatric surgeon at the hospital, Doerfler created a prototype for an infant warmer that costs less than $300 to build (compared to a usual price tag of more than $10,000). The hospital plans to implement the device within the next few months. After graduating from McCormick in 2013, Doerfler took time off to develop other skills before starting medical school. He taught science and English for a year in Malaysia through the Fulbright program, followed by a year conducting research on cell migration in fruit flies at the Institute of Science and Technology Austria, near Vienna. As he plans his future, he hopes to continue this trajectory of conducting scientific work abroad and finding global solutions through a meld of medicine and engineering.